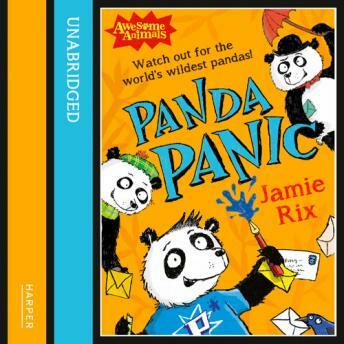 It's time for Ping the panda cub to meet his public in this hilarious Awesome Animals adventure by award-winning author, Jamie Rix. Ping the panda lives with his mum and twin sister An on the Wolong Nature reserve in China. Although his name means 'peaceful' in Chinese, he's anything but! Ping craves adventure and excitement but unfortunately he is a panda... and pandas do pretty much nothing except eat bamboo for around 14 hours a day and poo up to 40 times a day. So when Ping overhears one of the reserve rangers talking about plans to send a panda to London Zoo as part of an exchange programme, he knows this is his big chance! But how can he make sure he gets selected for the programme? What if they choose Gao - the super cute panda with the big fat cheeks who lives in another corner of the reserve? Will Ping be able to swap his boring life on the reserve for a once-in-a-lifetime adventure on the other side of the world, or is he destined to a life of eating, and pooing, bamboo? Nothing's black and white in this laugh-out -loud Awesome Animal adventure!